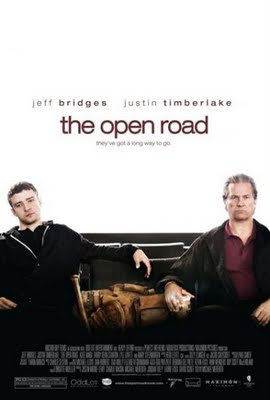 For reasons I don’t begin to understand, the distributors of The Open Road opted to open their low-key dramedy in Houston and a few other markets last Friday without bothering to screen it in advance for critics. Usually, such an under-the-wire release is a sure-fire indication that (a) the movie in question is a great big steaming turd, and (b) the distributor, well aware of this fact, wants to take the money and run. But here’s the thing: In this case, a lot of people who don’t usually see a lot of movies in theaters – i.e., folks in the 35-plus demographic -- might have been willing to shell out the shekels for first-run admission tickets if only they’d known what the movie was about, and who’s in it, and how engaging it is. Don’t misunderstand: We’re not talking about the unwarranted dump of an indisputable instant classic. But we are talking about the mishandling of a good movie that, months from now, people will discover in the Redbox kiosk at their neighborhood grocery store, or the VOD schedule of their cable-TV service, and enjoy. And those people likely will think, “Wow, how did we miss this one? Did it open in theaters at all?” You can read my Variety review here.